Cut the pita bread in half. 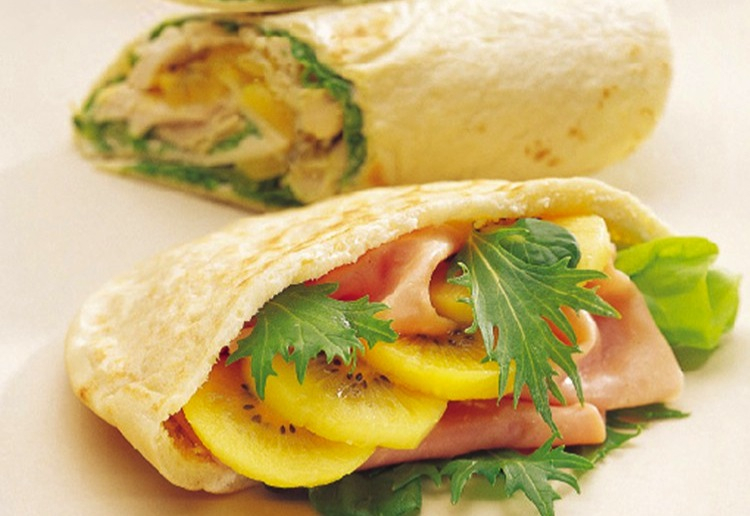 Fill both halves with ½ cup lettuce, 2 peeled and sliced Zespri SunGold Kiwifruit and 2 – 4 thin slices of ham or cold meat. This looks both delightful and delicious. My next snack time! I have never thought about using kiwi fruit like this. Will give it a go. Thanks. Not sure about this one but can not knock it until I try it. Looks so yummy. Well done and thank you. These Pita packs look so amazing and delicious; a wonderful combination of ingredients, thanks for sharing!. I had never thought to combine these flavours! Wow, what a different recipe. Thanks for sharing. What an interesting way to use kiwifruit. Looks delicious. That pita bread looks great. And I have never thought about adding kiwi to a sandwich either.